Malls are beginning to fade from prominence in American culture. There's been a retail exodus from malls across America, including Bloomington's own Eastland Mall. 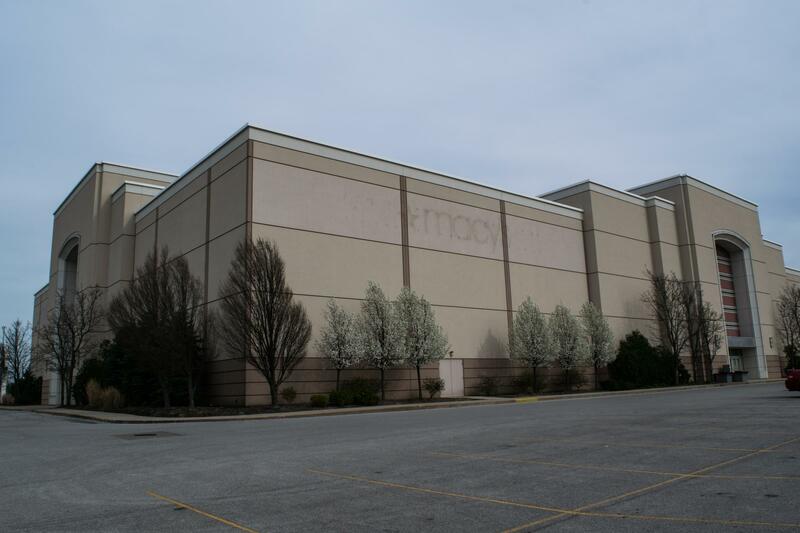 One anchor store, Macy's has departed, with another, Penny's, on its heels. Nearly a quarter of the malls in the U. S. are at high risk of losing an anchor store. As consumers go elsewhere -- like online-- to shop, stores close, and jobs and revenue vanish. It was just a few decades ago that malls were THE place to shop, to eat, or to see a movie, said Shari Zeck, Interim Dean of Illinois State University's Milner Library and GLT's Culture Maven. Malls were a mecca for consumer culture -- and more. "It was a place to drop off your kids for the day. In their heyday, the mall was considered a safe place to roam, so folks were drop off their kids. It was also a place for families to do things together. The malls were really owned by the teens, particularly teens who couldn't drive yet. They had a little money in their pockets and they could meet, they could eat, they could play in arcades, they could go to the movies. In addition to teenagers, there's also a lot of old folks who go to the mall to walk, to get exercise. It was a whole entertainment package, and it was shopping as entertainment." Now we live in an era where folks are more cautious about anonymous crowds and leaving their children unsupervised, noted Zeck. "We live in a more fearful culture. But fundamentally, the shift away from malls is about other cultural dynamics. Certainly in the last ten years, it's the availability of product online. But there's been something else going on. In the 70's it was all about the convenience of a particular interior location. Now when people go out for a shopping day, they want better food, they want outside spaces. You go to newer shopping areas and there will be coffee shops with outdoor seating, there's convenient parking, but there's also an attempt to make it feel like a neighborhood. So I think there's a difference in how people want to shop." "Also, there are many more options for young people to go to for their entertainment. They can sit on their couch with a phone and not go anywhere for entertainment." "From their inception, malls were equally delighted in for their various conveniences and the pleasures of consumerism," Zeck observed. "But at the same time they were so patently paeans to consumerism and the trashiest parts of American culture." Listen to more with Shari Zeck, including what blockbuster movie has her favorite mall scene. The walls of the University Galleries in Uptown Normal are filled with joyous, colorful works of art. That's not at all unusual, except that this art was created right in the space where its being exhibited in a celebration of creativity, inclusion and collaboration. Throw some particles at an atom and what do you get? That's what Dr. Allison Harris wants to know.